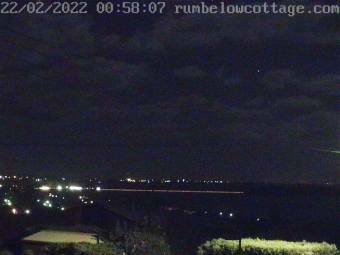 Rumbelow Cottage - View of Victor Harbor Causeway and Granite Island from Rumbelow Cottage in Encounter Bay, Adelaide, South Australia. Granite Island: Seaview, 0.3 mi. Victor Harbor: Knights Beach, 0.6 mi. Morphett Vale: Adelaide Hills, 31.6 mi. Happy Valley: Weather in Happy Valley - Booth St., 33.1 mi. Callington: Weather in Callington, 37.8 mi. Adelaide: Adelaide Airport, 43.3 mi. Adelaide: Weather in Adelaide - Adelaide CBD, 43.4 mi. West Beach: Seaview, 43.6 mi. This webcam Victor Harbor with the theme Seaview was added on December 6, 2017 and is operated by Rumbelow Cottage. It got 67 visitors since then. Shouldn't this webcam work or should the link be wrong please report that here. You can add this webcam here to myCams.